One of the tanks operated by Anzio Girls High School! 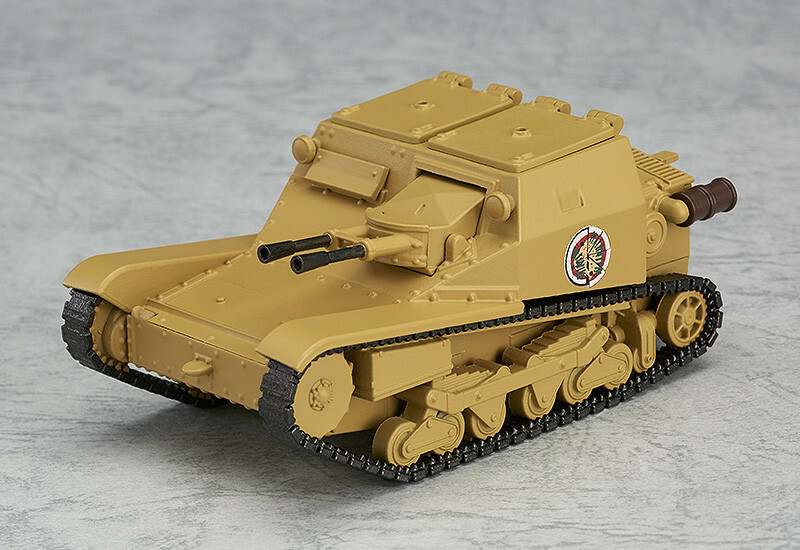 From the popular anime film 'GIRLS und PANZER der Film' comes a series of tanks to join the Nendoroid More series. 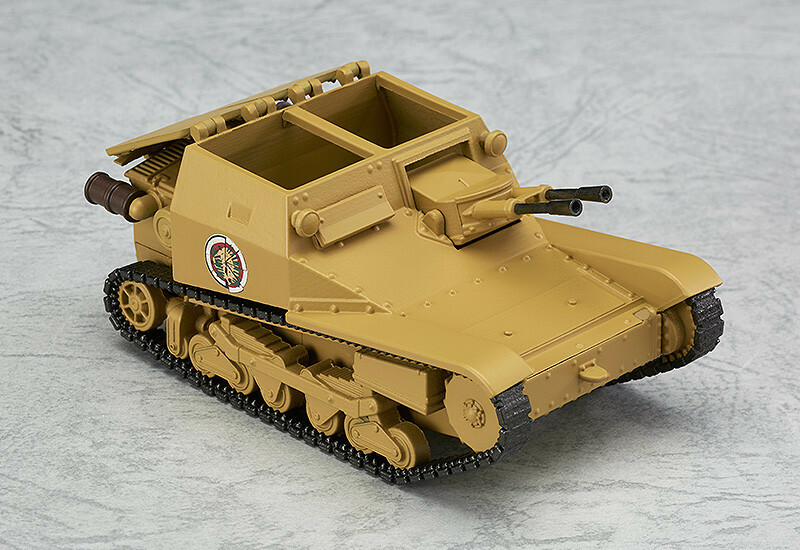 The third in the series is the tank that played a big role in the film - the Carro Veloce CV-33 (L3/33) tankette used by Anzio Girls High School! 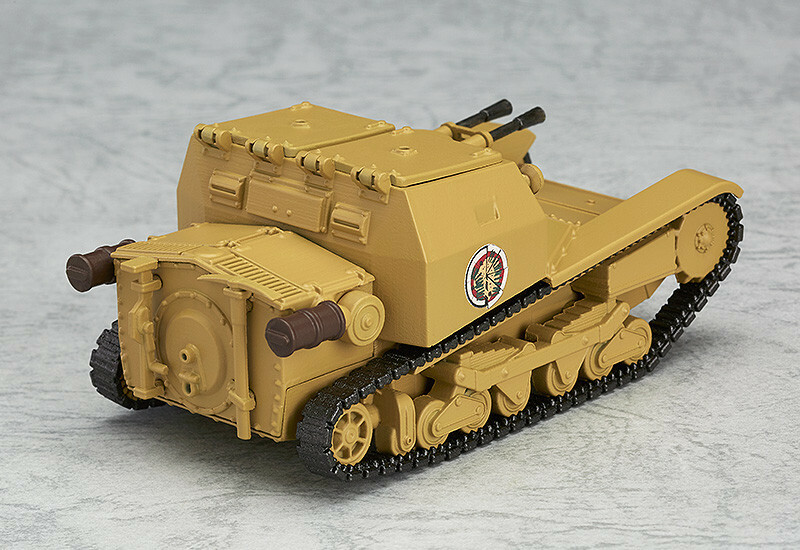 The details of the tank have been carefully preserved while shrinking the tank down to cute Nendoroid Petite size, and the hatches on the top of the tank can be opened and closed allowing for more playability! 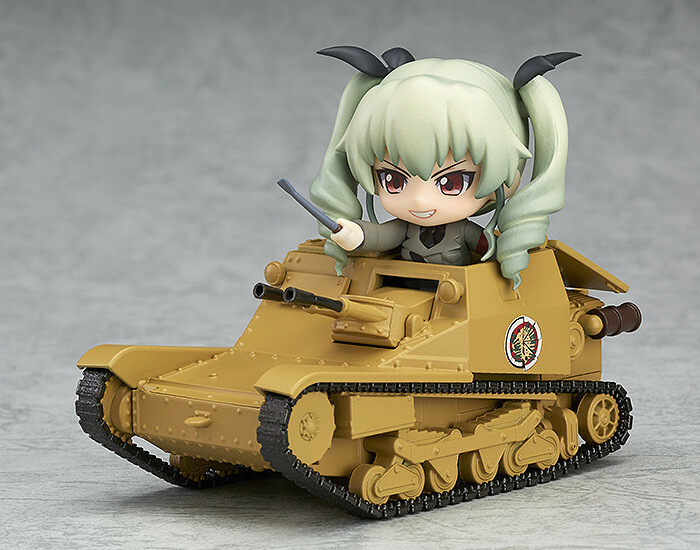 Be sure to display the tank together with the Nendoroid Petite: Girls und Panzer series! *Nendoroid Petite: Anchovy is sold separately. Painted ABS&PVC non-scale model. Approximately 45mm in height, 95mm in length. Preorders will be open from 27th October 2016 (Thu) from 12:00JST until 25th November 2016 (Fri) at 12:00JST.